On no occasion, can I remember, wanting to go to a bar solely for it’s food. But McCormick & Schmitck’s is the exception. Visiting a McCormick & Schmick’s has become almost a weekly obsession. Sometimes twice weekly if time permits and I’m able to make it for the period they consider happy hour. Sometimes in dual cities: Irvine and San Diego. The exception for the Irvine time slot is that they have two happy hours: 4-6:30 and it starts up again at 9:30 until midnight. San Diego’s is only from 4 until 6:30. Another advantage that Irvine has to the San Diego location is the size of the bar area. It’s an actual room with a separate entrance decorated in dark woods and burgundy curtains to conceal the beer making facilities. It’s cozy and a bar band is usually playing to complete the ambience. Plus it’s only a short walk away from my office. 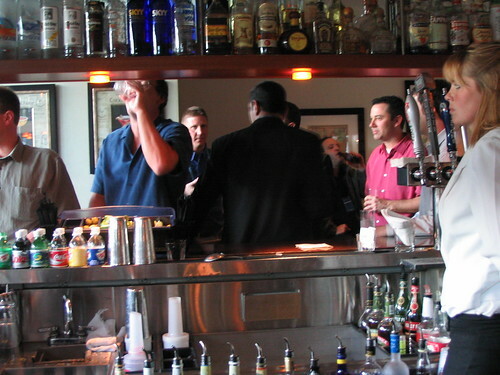 The San Diego bar area is only a sectioned off area of the restaurant (dining area in clear view) which surrounds the oval bar and limited tables around it. 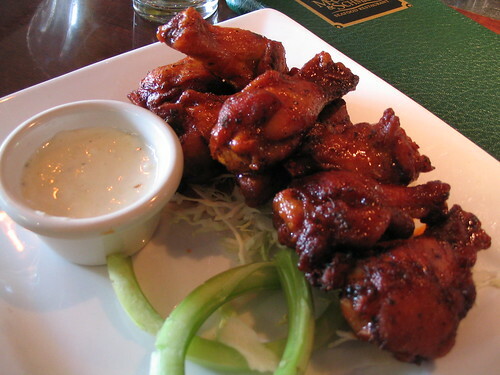 What makes happy hour so amazing (in both and possibly all locations) is the quality of the food and a little under $2. A $1.95 to be exact. With a minimum one drink purchase, some spare change can buy a 1/2 cheeseburger with fries, potato skins, a pair of oyster shooters, a bowl of steamed mussels, chicken satay and rice, buffalo wings, California rolls and so on. 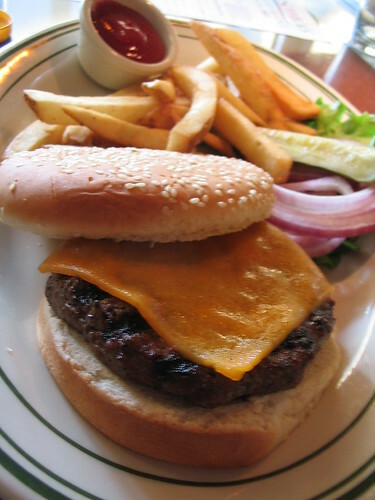 Menu varies from location to location but the best deal all around is the burger. The burger is filling and made to order. Upon looking at the regular restaurant menu, the same burger is priced around $9. Already admitting that I’ve visiting the two locations, I’ve made it a point to try a variety of their happy hour menu items. The most disappointing so far has been the seafood jabalaya in Irvine. The happy hour menu for McCormick & Schmitck’s is actually well know far and wide around the country from certain associates and has been written up by various publications. Only problem is convincing myself to visit the actual restaurant to try the regular menu items knowing very well that a great deal is waiting if I arrive at the right time. Their giant mushroom dealie is pretty awesome. Hey Andy-I have yet to try their giant mushroom. Sounds kind of like an appetizer thing. Maybe when I eventually go to the restaurant area.Mmmm… mushrooms….